When there is any kind of problem in the cooling towers you should find a company that offers proper and quality cooling tower services. If the quality of the installation is paramount you don’t have to face such a maintenance problem frequently. Cooling tower water treatment quality affects the operational efficiency, operating cost and cost of equipment, and dependability of a cooling system. Even when the quality machinery and equipment are installed, the longevity depends on the maintenance. To ensure that the cooling towers work without any error, they have to be regularly serviced and operated with care. Even when the cooling tower you have installed is from a reputed company, you need to take care of it in a proper manner. In order to keep your cooling system efficient, there are a few things that should take into account. It should be inspected on regular basis. The repair and maintenance have to be done by the experts. This will not only increase the life of the system, but it will reduce expense and also prevent any serious issues in the system. This is the most ideal way to reduce major repair cost. Corrosion is very common in cooling systems. Many companies tend to ignore the condition in the first place. 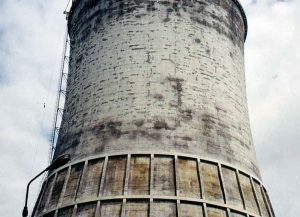 They accept the corrosion as an inevitable process, especially in old cooling towers. Cooling towers are placed in the open and corrosion in the cooling tower is the result of environmental effects. 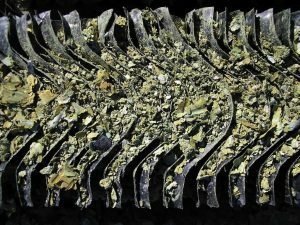 Such a process includes microbiological growth, scale deposits, aerated cooling water and so forth. Over time corrosion gets worse and then it requires more than just repairing. In many cases, cooling tower parts have to be replaced due to corrosion and if that does not work then the only solution would be to change the entire cooling system. It also affects the other parts in the cooling system and that means spending more money on repairing and facing operational errors. Prevention is best when it comes to corrosion. One should opt for regular inspection which can detect small issues leading to corrosion. Problems like water leakage, scale build-up from a closed loop system should be addressed properly to prevent further damage.you can prevent corrosion by using superior quality polymeric coating solutions, proper maintenance, solving minor issues, and regular inspection in the areas like framework, holding pans, joints, etc. Calcium phosphate, calcium carbonate, magnesium silicate, and silica are the compounds present in the water that are insoluble in heated water. These insoluble compounds lead to the hard deposits forming in the system’s heat exchange surface. Such developing is known as scaling. Scaling damages the piping and internal surface of the cooling system. It can also reduce the efficiency of the cooling towers and increases the energy consumption. To keep the cooling towers without scaling blowdown monitoring and concentration cycles are necessary. pH control is also required to reduce the effects of scaling. You can also use water treatment and chemical scale inhibitors. If you are not sure about what type of water treatment is ideal for your plant then you can take advice from your cooling tower exporter. You can also hire a water treatment specialist to solve the concern. When the unwanted materials piled up in the cooling towers, it is known as fouling. Fouling in the cooling systems is not only the result of building up dust, dirt, and derbies, but other materials are also included, such as a slit, microbiological growth, migratory corrosion products, sand, and so forth. If the problem is not addressed on time then it might lead to serious issues such as a significant reduction in the efficiency of cooling towers, damage in the system function, boosting the operational and energy cost. To ensure that you find such a problem on time, regular and close monitoring is essential. There are different ways to solve the problem which depends on which types of materials have gathered on the surface. Water treatment is required and it is also one of the most effective ways to solve the fouling problem. Using chemical dispersants is also a good solution. Along with these side-stream filtrations and periodic blowdown are effective. Biological contamination or microbiological contamination occurs accidentally. When the microbes such as algae, fungi, bacteria are entered in the system either by air or by the inflow of water in the system. Nutrient content in the water is increased by water use, process leaks and water evaporation. When it incorporated with warm water, it creates a perfect environment for microorganisms to breed and grow. Such growth of bacteria is not only harmful to the environment, but it also affects the efficiency of the cooling system. It promotes the corrosion in the cooling system. One of the reasons for scaling in the cooling system is the growth of the biological film. It leads to more energy consumption and also harmful to human health. Controlling the growth of microbes is the best way to deal with the problem. As soon as the bacteria, algae, and fungi are detected, they need to be removed. The chemical and microbiological analysis might be required to eliminate the problem. the first thing that you should do is to look for the water cooling towers manufacturers. Once you have installed quality water cooling towers, you need to be prepared for the above-mentioned problems. Corrosion, scaling, and fouling can be prevented and also be controlled. Investing in servicing and maintenance is necessary. It keeps the cooling system safe and prevents unnecessary problems in the cooling towers.